Temporary configuration added on Run menu. 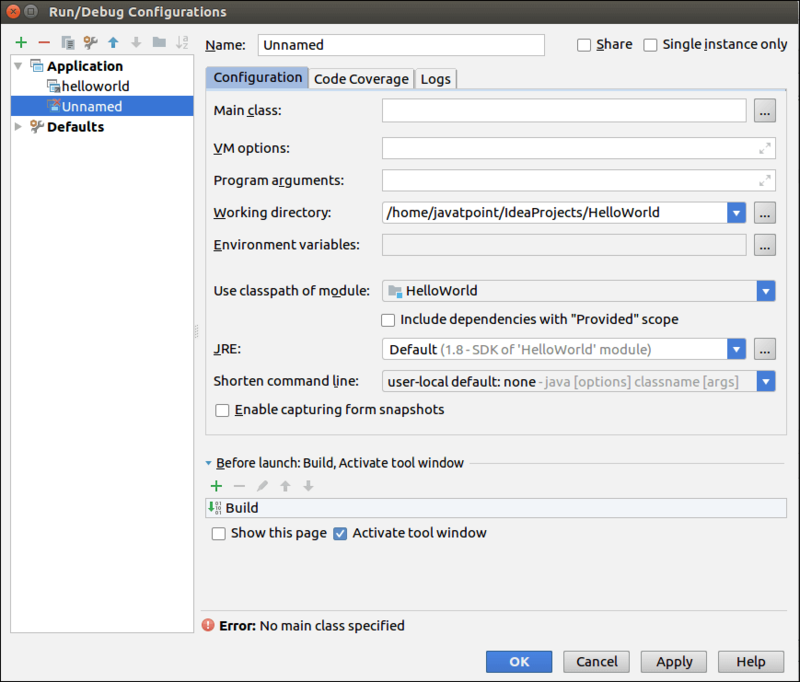 When we save the Temporary configuration with IntelliJ, it can be converted into Permanent configuration. To save this configuration, click Save Configuration on Run menu. We can also edit this configuration according to our requirements. Select Application from drop down list. Configure it according to our requirements. Select Configuration Tab. Fill the details and click on the Share checkbox to the top right corner of the configuration window. Now our configuration will store on the disk. Configuration file will store with the .ipr file extension.